Crown Brush are at it again with a new range of brushes. They have just released the Pro Brush Range which includes 30 brushes! I was lucky enough to receive five of them to try out. When I was looking online there were two I really liked the look of so I was excited when I saw they were two of the ones that arrived. 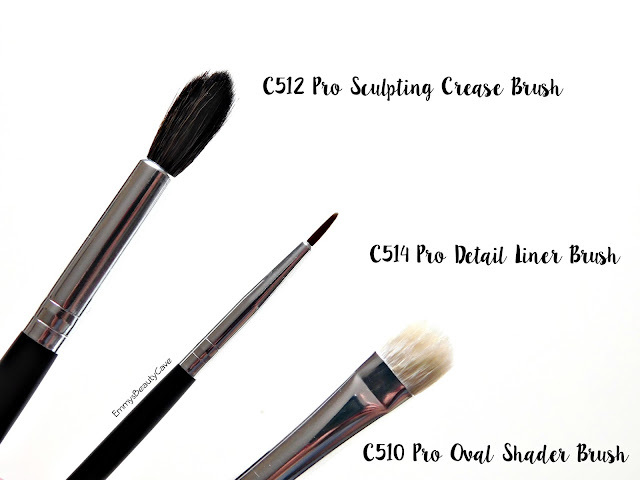 All Crown Brushes I have previously used have been amazing quality so I was intrigued to see how these Pro Brushes would compare. 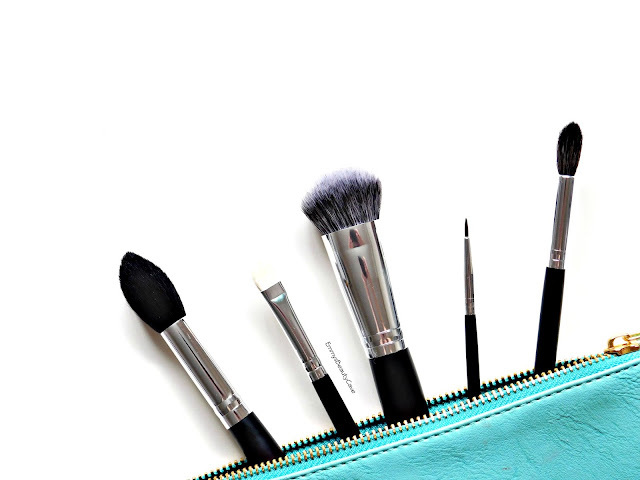 I bet you are wondering why is the Pro Brush range different to the other ranges they do? Well Crown Brush say the 30 brushes in the Pro Range include a mixture of natural hair and synthetic. They also say the grade of hair used in these brushes is higher quality which makes them perfect for makeup artists or even us beauty fanatics at home. 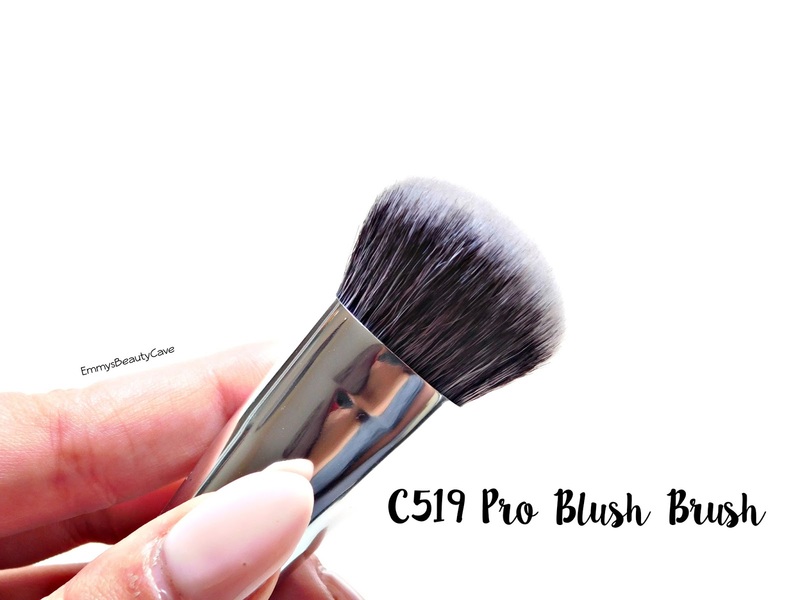 When I first looked at this brush I wasn't sure what it was for so I had a look on the website and was surprised when it said blush brush. This brush is quite dense so for me personally it could only work with liquid type blushes rather than powder. I haven't used this for blush as I just don't think it would work but I have used it for foundation and concealer and love it! I find it blends really well and the size of it is perfect as it can blend foundation and concealer in the outer corners of my nose. Overall it is a lovely brush and has such a high end feel to it. This little beauty is my favourite of the bunch. I have used it every single day since I got it. I use this to set my under eye concealer with powder. I use it with normal powder and I sometimes use it when baking with powder. It is the softest brush and the perfect size. As it has a pointed tip it makes it perfect for getting into those inner corners of your eyes. I also use this to apply powder underneath my contour to make it look sharper. The size is just perfect! This is one eyeshadow brush everyone needs! I love my Zoeva 227 Definer Crease Brush but it is more like a normal crease brush it doesn't get right into the crease for a precise shade. 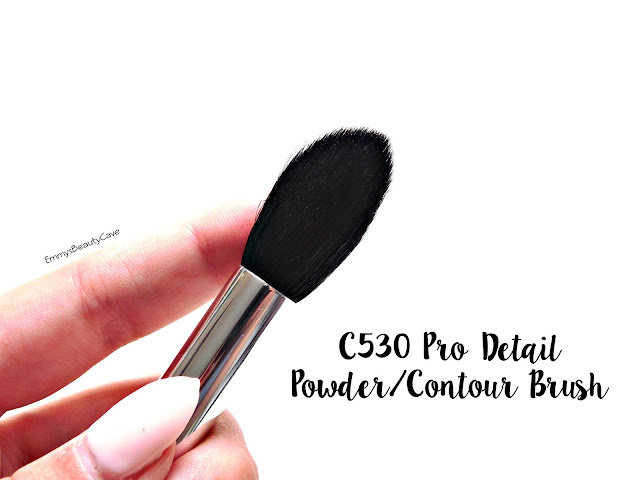 This C512 brush has the pointed tip and fits into the crease perfectly. It is perfect when you want to define the crease a little more. I don't actually use a gel liner but I am wanting to pick one up soon. So far I have only used this brush for apply shadow under my bottom lash line as I find I can be precise with this brush. I can see this brush being perfect for Gel Liner as it has the right amount of bend to it whilst still being firm. I have been using this brush so much lately. It is a flat oval shape brush that picks up shadows perfectly. You can really pack product onto your lid without it falling everywhere! It is quite a firm brush, I find it perfect for those shimmery shadows and especially when you wet this brush first it is just perfection! Overall I am so impressed with the new Pro Brushes Range and definitely want to try more. I can 100% see how the quality is different to the other brushes they do. Prices in this range from £3.99-£22.99. Shop The Crown Brush Pro Brushes Range HERE.